CB026A HP Oficejet H470 portable colour Printer - Refurbished with 3 months Return To Base Warranty & Working Consumables. 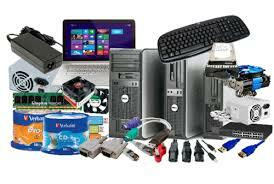 The HP Oficejet H470 portable colour Printer is as good as buying new as all worn parts are replaced. This saves you up to 50% off the price of a brand new printer. We are confident that you will be 100% satisfied with your HP Oficejet H470 portable colour Printer and are here to help with any support questions you may have. The Manufacturers part number/product code for this item is: CB026A. Get more done wherever you go. Take the world’s fastest mobile printer1 with you and print from your notebook or PDA. Increase your flexibility with optional Li-Ion battery plus Bluetooth, 802.11b/g wireless and in-car adapters2. Get outstanding value from the world's fastest mobile printer1. • Maximise your productivity. Print documents, reports and more with the world's fastest mobile printer1 – up to 22 ppm black, 18 ppm colour. Get great value too with a competitive purchase price plus the economy of HP’s efficient inks. Enhance your productivity away from the office – print wherever you go. • Get the performance you need, when you need it. Plug into the mains or add an optional long-lasting Li-Ion battery3 – up to 480 pages per charge. Choose optional accessories3 including Bluetooth, wireless and in-car adapters. Get professional-quality results from this rugged, compact and easy-to-use printer. 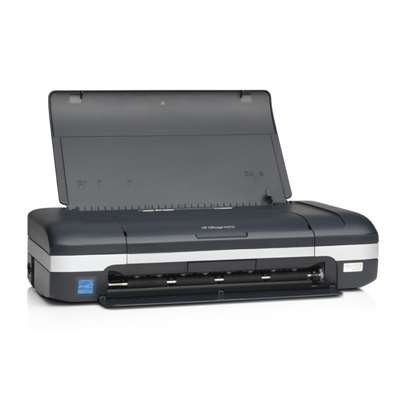 • Get professional-quality results with this rugged mobile printer. Print laser-quality text and crisp, sharp photos on the road, meeting clients or in your hotel room. Enjoy the reliability you would expect of HP – drop-tested to ensure durability. Photo paper sizes (imperial) 4x6,5x7"